With the recent announcement of the asteroid mining company, Planetary Resources, some of the most-asked questions about this enticing but complex endeavor include, what asteroids do we mine? Which are the easiest asteroids to get to? Could it really be profitable? While Planetary Resources officials said they hope to identify a few promising targets within a decade, the initial answers to those questions are available now on a new website that estimates the costs and rewards of mining rocks in space. Called Asterank, the website uses available data from multiple scientific sources on asteroid mass and composition to try and compute which asteroids would be the best targets for mining operations. 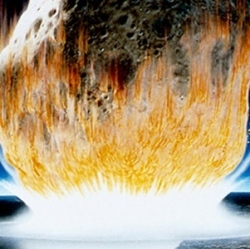 So, which asteroids are most profitable, valuable, easily accessible and cost effective? Most Cost Effective: 2000 BM19, a very small O-type asteroid (less than 1 km wide) that makes several close approaches to Earth. Its estimated value is $18.50 trillion and an estimated profit of $3.55 trillion. Most Accessible: 2009 WY7, another small asteroid with regular close approaches of less than 1 AU. This is an S-type asteroid, a silicaceous or “stony” object that has a high accessibility score on Asterank of 7.6577. Asterank combines both the economic and scientific features of over 580,000 asteroids in our solar system, looking specifically for platinum-group metals and water. It was created by Ian Webster, a software engineer in the San Francisco Bay Area.